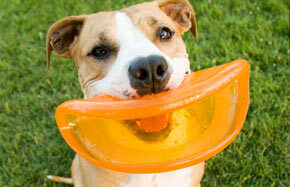 Active Dog Adventures welcomes you to our virtual dog house, where it’s all about the dog. We share your passion and love for your best four legged friend by offering distinctive products and services that will create a happy tail! 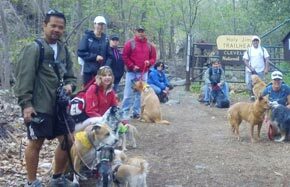 From tall to small, strong to sensitive, Active Dog Adventures offers the opportunity to unlock the potential of your pet and to build a positive and lasting relationship under the guidance of a Certified Pet Dog Trainer! 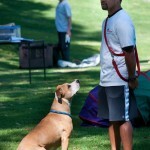 ADA is Experienced, Positive, Professional and always passionate for pets! Learn more about our training philosophy. Your family and pets will enjoy our positive energy! 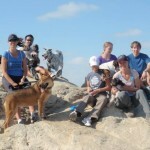 One of Orange County’s first, best and longest running social dog groups, our purpose is to get outdoors and active! We welcome puppies, seniors and everything in between! 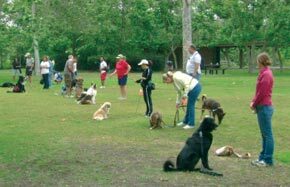 All breeds welcome, especially those working on socialization. Come check out your next great adventure!